Here’s what to consider first before taking the plunge. If you are getting bored of how your kitchen looks like, then it may be time for you to check out some simple and practical kitchen remodeling ideas and tips. After all, one of the quickest and most effective ways to improve the ambiance in your home is by giving your kitchen a makeover. Not only will this it give this part of your home a more spacious quality, but you can also highlight stunning sections that add to the value of your property overall. 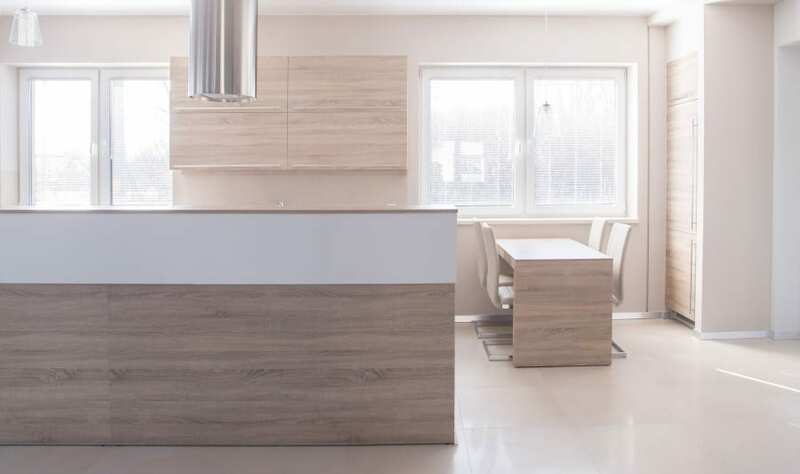 It is really only a matter of deciding on the right style and design that suits the existing floor area and theme of your home since you wouldn’t want your kitchen to appear completely off from the rest of the rooms. Read along and discover how you can improve your kitchen’s appearance in easy and effective ways. Before you begin the remodeling process, you should first decide on the area in your kitchen that would serve as the focal point. For instance, it could be your kitchen cabinets, or the bar, and perhaps that large window that shows a stunning view of your backyard. Regardless of the area you want to focus on, you can make sure it is enhanced with decorative items to further highlight it. In case you are the type of person who entertains a number of guests regularly, then you may want to incorporate a seating area in the kitchen where you and your friends or family members can gather. An area where you can cook, as well as a dining spot, should be an excellent feature to add. No matter what the size of your kitchen is, you want to make sure that the appliances and pieces of furniture are arranged in an organized manner. For instance, you may want to consider positioning the sink, cooktop oven and fridge on a straight line that will occupy about 23 feet for all of these kitchen elements. In most cases, the sink is placed in between two appliances, yet this still depends on the pre-existing plumbing lines in your kitchen. You should also make sure you have enough counter space. Finally, never place your fridge next to an oven that is built-in to the wall. These appliances will require some ample space on each side to prevent any safety hazards. If there are some corners that you want to utilize, then adding Lazy Susans should be a brilliant idea. You will like how these pieces can serve as storage spaces while making a small section of the kitchen functional at the same time. You may also opt for pull-out drawers, which are convenient and efficient to use. Pull-out trays are excellent features to be installed in your cabinets since these take the stress out in finding the item you want without shuffling all the items inside. Lastly, it is better to go for designs and kitchen products that are free from any barriers. Not only will these make things easier for children, elderly and disabled individuals to work around the kitchen, but you will find this part of your home more organized, as well.